Methylamphetamine is the most consumed illicit drug in the country and Western Australians and South Australians are the biggest culprits, according to researchers who studied wastewater from 51 sites across Australia. 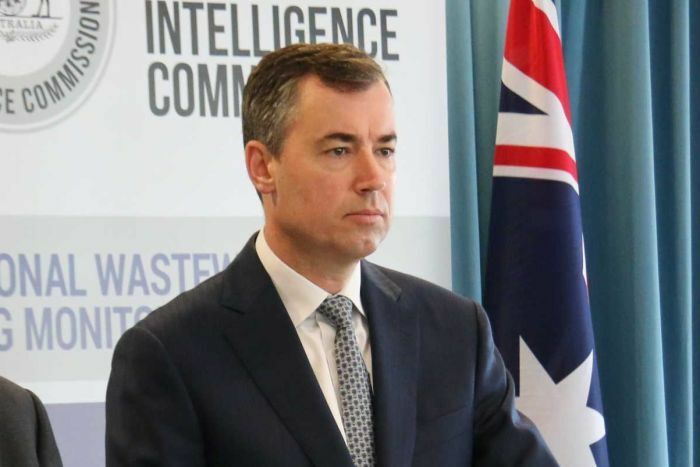 The Australian Criminal Intelligence Commission (ACIC) contracted university researchers to test the wastewater for ice and 12 other illicit and licit substances including cocaine, MDMA, alcohol, tobacco and several prescription medications. City and regional sites in WA were found to far exceed national ice use averages, with South Australia also recording above average use both in city and country areas. High levels were also found in regional sites in Queensland, Victoria and Tasmania, while New South Wales recorded the highest cocaine use. The National Wastewater Drug Monitoring Program Report also revealed a high use of the prescription medications oxycodone and fentanyl across all jurisdictions, particularly in regional Queensland. Victorian sites also showed higher than average oxycodone levels. The report covers about 58 per cent of Australia’s population, or approximately 14 million people. Ice, along with speed and base, is a form of the potent stimulant drug methamphetamine. So what happens when you take it? Federal Justice Minister Michael Keenan said the report was the first of its kind and provided the greatest ever insight into what drugs were being consumed and where. He said the report confirmed there had been “an explosion” in the use of ice in Australia in recent years. “Sadly it confirms what we already knew anecdotally and that is, in Australia we have an enormous problem with illicit drugs,” Mr Keenan said. He said previously authorities had to rely on surveys, which were relatively unreliable, and said the testing program would be ongoing. “So we can get a sense over the next few years about how successful our law enforcement and other policies are about dealing with drug usage in Australia,” he said. WA Police Commissioner Karl O’Callaghan also said the report confirmed what was known already — that Western Australia had a significant drug problem, particularly with methylamphetamine. “We know we have a large number of people using it [but] the report also tells us where that usage occurs, so that’s interesting for us,” he said. He said police had been conducting their own wastewater sampling over the past 18 months, and that the most recent results, in February, showed a slight drop in usage — although he conceded that did not necessarily indicate a longer term trend. ACIC’s chief executive officer Chris Dawson said the report provided much needed precision. “It’s not an estimation, there’s a much more precise scientific baseline here … and over the next three years it will provide us with a far more accurate picture of the illicit and licit drugs that are being abused by Australians,” he said. Mr Dawson said the study found the level of ecstasy use was not as high as previously estimated, but the abuse of the opiate-based prescription drugs such as oxycodone and fentanyl was cause for concern. “Certainly in the USA [those drugs] have been subjected to widespread abuse and resulted in people migrating across to street heroin,” he said. Mr Dawson said it was important to see the problem as more than a law and order issue. “We must continue to drive down demand in order to interrupt the supply market,” he said. The report is the first of nine planned under the program. Australia and New Zealand should legalise these drugs like Portugal did and re-invest the money spent in law enforcement on drug treatment instead. End the War on Drugs – it’s a total waste of drugs and isn’t reducing the number of drug users. When you offer drug treatment on demand – like Portugal does – drug abuse number will drop (as they did in Portugal).